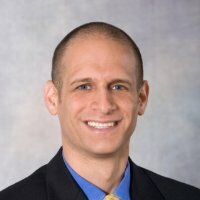 We can all agree that finding candidates with the right hard skills is important. 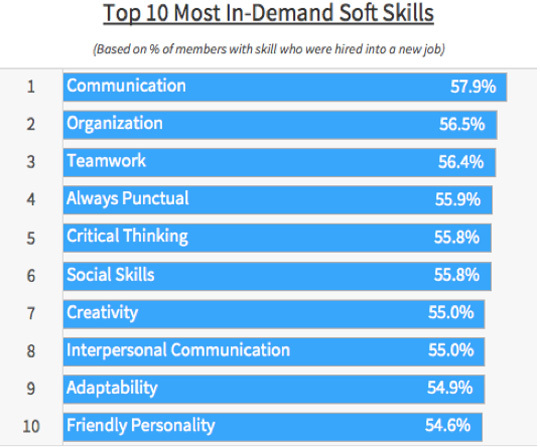 In fact, we recently published this list of the most in-demand skills. However, it turns out that there is something equally — or maybe even more important — that employers want in their next hire: the right soft skills. We analyzed the soft skills listed on the profiles of members who job-hopped (defined as a member changing their employer on their LinkedIn profile) between June 2014 and June 2015 to identify the most sought-after soft skills among employers. Half of the least in-demand soft skills are ones often associated with leaders — like management, team leadership, and coaching. Leaders typically job-hop less frequently than entry and mid-level employees because there are fewer job opportunities for them. 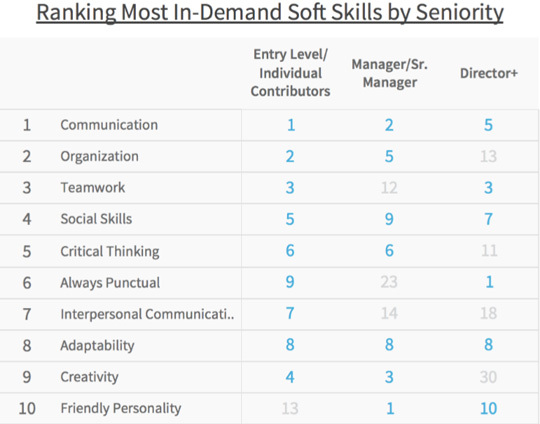 We wanted to see if that affected the rankings, so we analyzed where the most and least in-demand soft skills rank by seniority. The most and least in-demand rankings are quite consistent across seniority levels, aside from some variance at the Director+ level on the top 10 soft skills list. One potential reason why more fundamental soft skills — like communication, teamwork, and critical thinking — are more sought after among employers is because they’re applicable to every job function, industry, and level of seniority. You might guess that soft skills are more common among workers in service industries where interpersonal interactions are more frequent, and less common among workers in industries where technical skills are more prevalent. And you’d be correct! 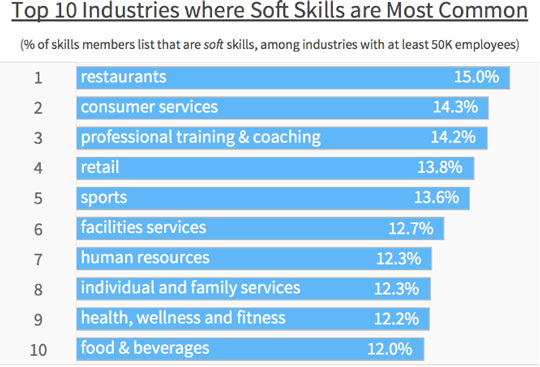 Soft skills are most common among workers in the restaurant, retail, and human resources industries. 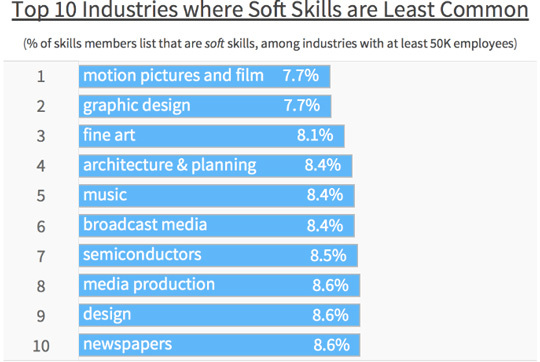 While we’ve simply analyzed prevalence of soft skills across industries, the lists are good indicators of the industries where demand for soft skills is highest and lowest, and where they’re most and least valued. This is especially true in high-growth, startup environments where change is inevitable and businesses rely on talent who can adapt quickly to a changing economy and needs. Under Armour’s CEO Kevin Plank has seen the marvel soft skills can do for a company, saying that while hard skills are important, they “can be learned and mastered” quickly, so he’d rather hire for qualities like “ingenuity, passion for technology and strong cultural identifiers." If you want a reliable way to screen candidates for soft skills, download the Guide to Screening Candidates: 30 Essential Behavioral Interview Questions. Or if you want to upskills your current employees, check out "Master In-Demand Professional Soft Skills" — a new Lynda.com Learning Path that will teach professionals the most sought after soft skills. It’s free for employers to offer to their employees for the next 30 days. The results of this analysis represent the world seen through the lens of LinkedIn data. It’s influenced by how members choose to use the professional network, which can vary based on professional, social, and regional culture. These variances were not accounted for in the analysis. We adopted a simple definition of “active job seeker” as a U.S. member who applied for two or more jobs on LinkedIn between June 2014 and June 2015. This gave us a sample of 2.3 million members. We then looked at whether each member found a job between the first date they clicked apply, and six months from the last date they applied to a job. We calculated a job switching rate among this sample of “active job seekers,” whether they found a new job or not. 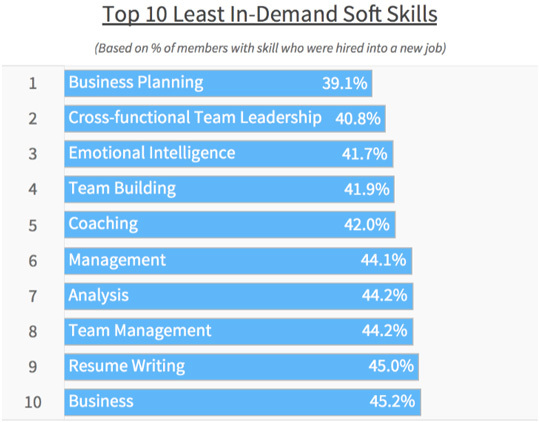 That gave us the most in-demand soft skills list.